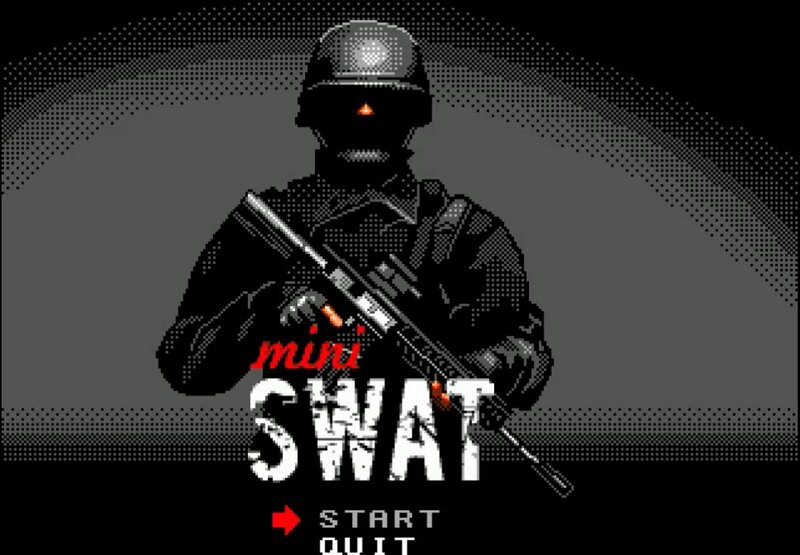 Nicely made title screen for Mini Swat. 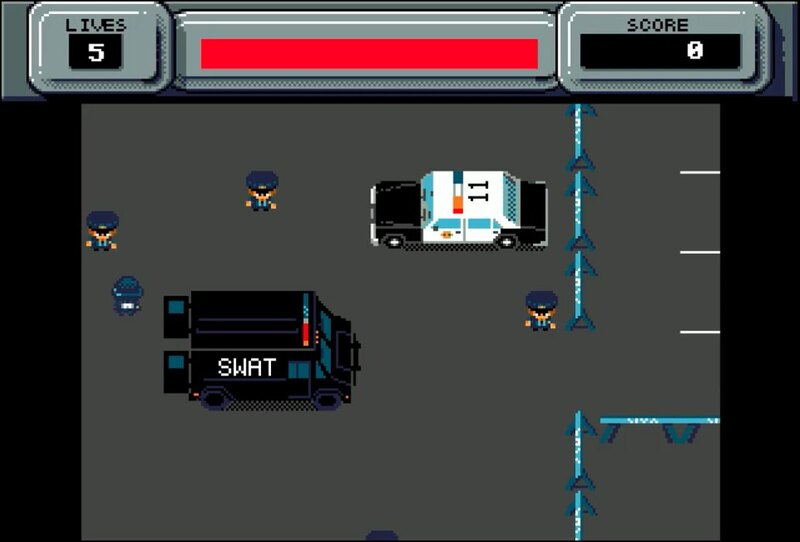 Mini Swat for Amiga is a Backbone game that came out a few months ago for the Amiga platform. It was released by Amiga Wave as free download. You find the download link on that page. This is a little gem of a game for Amiga. José writes that Mini Swat game was created to learn the features of the game editor that the game is made in, which is Backbone that you can find on Aminet. The maker wanted to know how far he could go. If using small graphics, then he realize that he would gain speed. It also teach him into what kind of features he could add regarding the graphics level, scroll and events in Mini Swat. The result became a bigger game than expected. For everyone to enjoy. Grocery store action in Mini Swat. 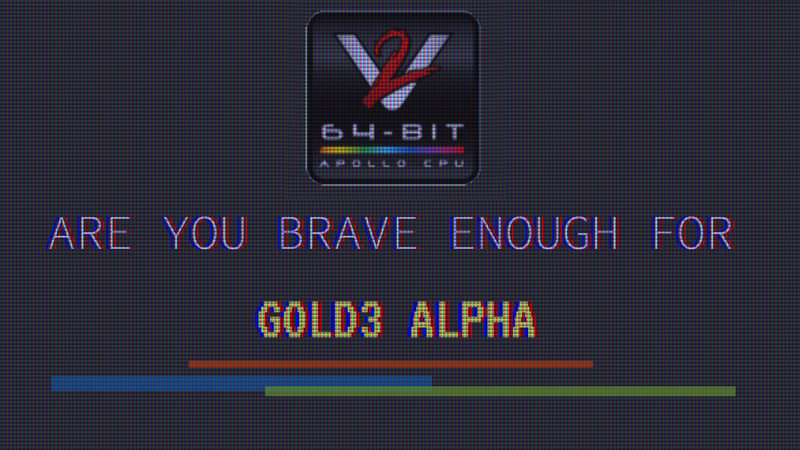 This game requires you to have a 68020 CPU at least. 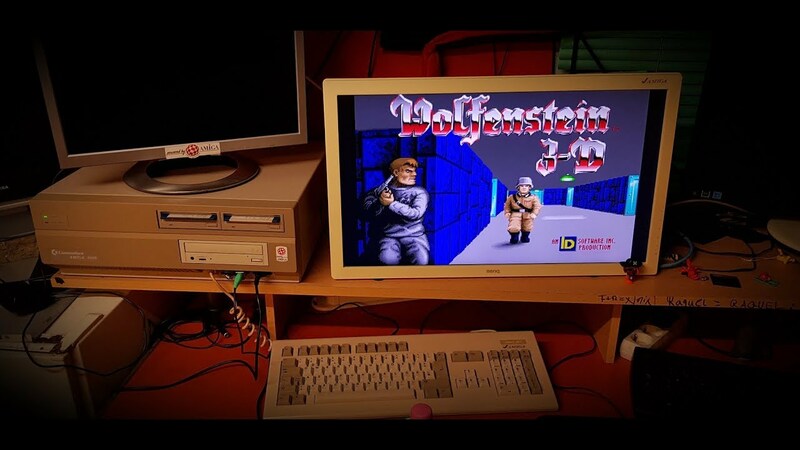 It works on any OCS Amiga or higher, which means that if you’ve got a Amiga 500 or even Amiga 2000 with enough CPU power. Then that would be enough. Some RAM is also recommended. 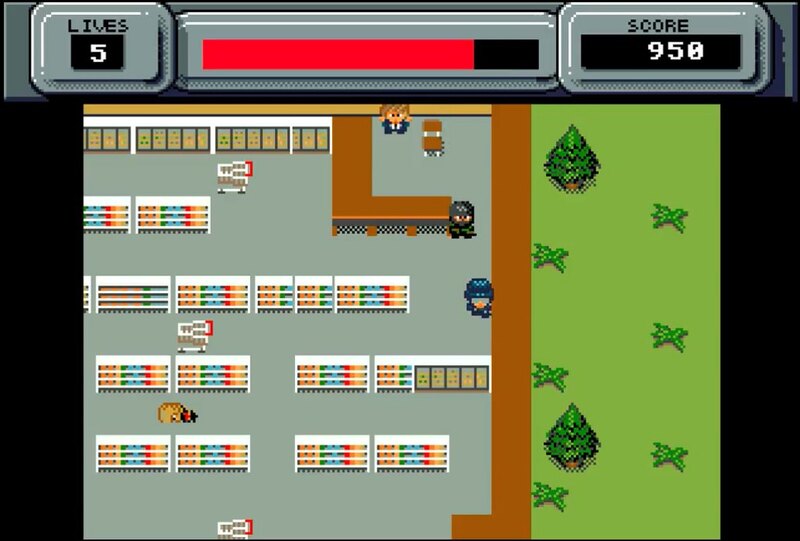 In Mini Swat game you play as a Police officer in the special intervention unit. Your mission is to rescue several hostages from some buildings and facilities, but nothing is easy in this game. That’s why they call you! So you can become the hero. In the buildings that you see in the game there are members of a terrorist movement who are willing to give everything to prevent you from fulfilling your mission. The Police backyard in the game. This game is available in physical edition at Amigastore in Spain. The game is available for download also, but as with every Amiga game that Amitopia Amiga Magazine covers. Mini Swat is like with any other Amiga game that should be purchased. So now. Put on your superpowers and support the developers behind Mini Swat! Put the Police helmet on and go. Shoot the bad guys and pickup people. There are some really nice details in this pixel heavenly game that is made for all classic Amiga machines with 68020 CPU or higher. Amiga market needs More games like this! And,.. Soon Amitopia will make a full review of this game. In the weekends we play games!